If you read the Vaccination Rules for Hajj Pilgrims, you come to know that the Hajj vaccination is mandatory for the pilgrims coming to Saudi Arabia from all around the world and recommended for the pilgrims living in Saudi Arabia. Private Hospitals have been charging a heavy amount for the Hajj Vaccination. However, we have already explained the procedure to Get Vaccinated for Hajj free of cost. One of the steps of the procedure to Get Vaccinated for Hajj free of cost is to take an appointment with the Public Health Center. 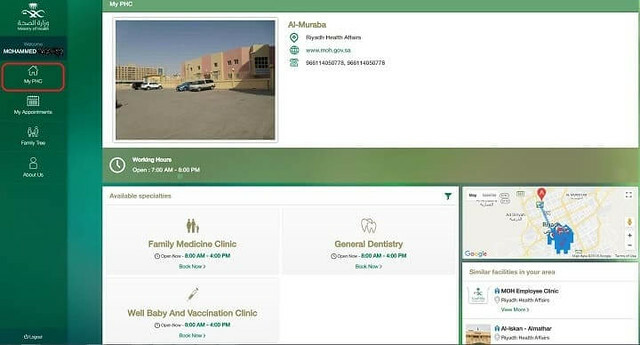 Open the website of the Ministry of Health from the following link and click on the “sign in” to the button. A new window will open up where you need to click on the “Login via National Single Sign-on”. This account is connected with your Abshir or MOI account. 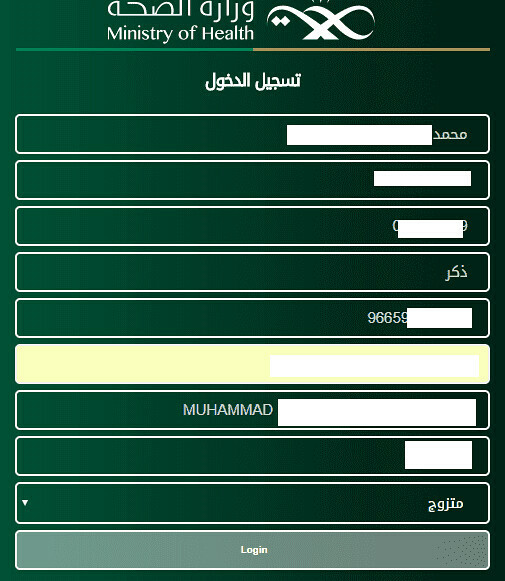 If you don’t have an Abshir account, you must Register for Abshir before going further. 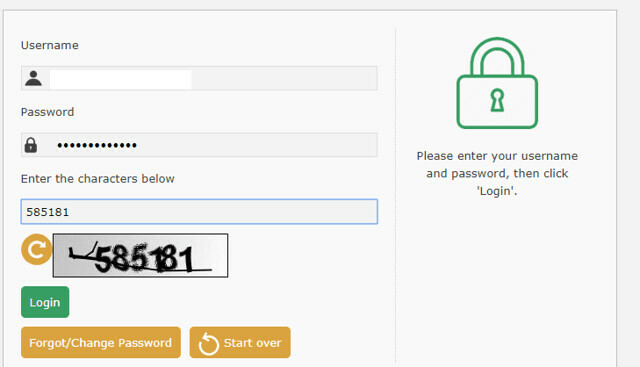 If you already have this account, enter your login and password on the next screen. A confirmation message will be sent to your registered mobile number. You need to enter the code back to the desktop window. A new page will appear where you need to confirm the details written about yourself. You may have to enter the phone number and your marital status again. In the next window, click on the sign in to Mowarid System. Now you have successfully entered the MOH portal. Add dependent names and details in your profile, click on the family tree and select ADD DEPENDENT. 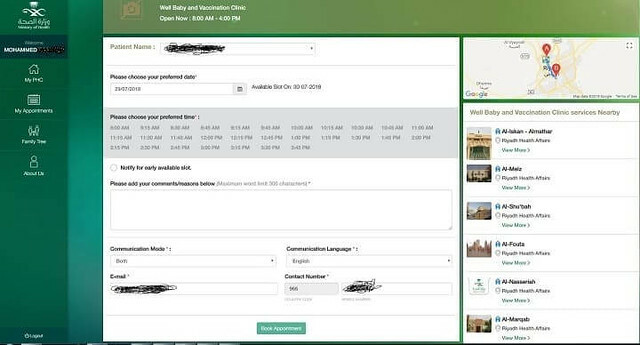 Dependent details; will take 24 hours to get activated, for “family card” field I have uploaded my son’s Iqama and it worked fine for me. Book the appointment: Select “WELL BABY AND VACCINATION CLINIC” “BOOK NOW”. Take House contract, Iqama and vaccination card with you. Its free they don’t charge anything. On the vaccination day please arrive 10 mins prior to your appointment. If the doctor arrives on time it will not take more than 10 mins.